Keariel Scott, Postsecondary Access and Training in Human Services (PATHS) Class of 2015, was accepted into the Vista College Medical Assistant (MA) program in the fall of 2015. She is currently finishing up her second year in the program and will be on her "externship" at a pediatrician's office in the spring of 2017. She also provides childcare services during professional workshops through Texas A&M Extension. Keariel shared her desire to become a medical assistant, "before I went to the PATHS program, I was going to go to school to be a nurse. And then Scott & White and my uncle inspired me because I love to help people. Scott & White Hospital is where my doctors and nurses are at and they inspired me because they were there to help me." Keariel also shared that she enjoys the Vista College MA program because "the program helps me finish faster and I will get my associates degree before I would have at another college." She hopes to work at Scott & White hospital in the children's wing once she graduates. She said that PATHS helped her further her career by "teaching me how to do a proper email, how to be professional, CPR/First Aid, and learning the laws like HIPPA and the history of disability." When asked what advice she would give someone wanting to follow in her footsteps, Keariel responded, "some people told me I shouldn't be in the medical field. But you should do it and provide them wrong. What you say you can't do now, you can do it. Show them." 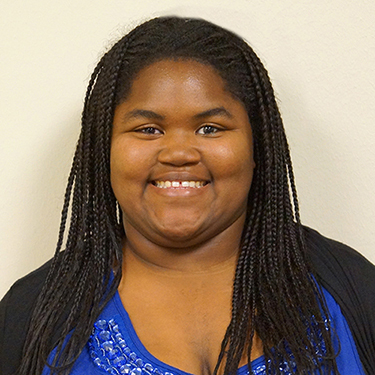 Keariel plans to graduate with her Associates degree in March 2017.